﻿ Pacific Ocean Perch – North Star Fishing Co. 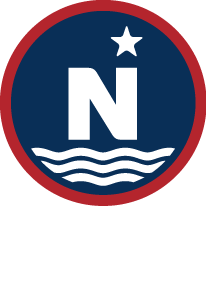 Note: North Star Fishing Co.’s vessels catch POP primarily in the GOA and do not have any significant quantity of quota for the Aleutian Island fishery. Information given below is for our GOA production. Fishing Gear: Otter trawls rigged to fish over generally rougher substrates. Rockfish nets are designed to stay off the bottom as much as possible by employing numerous floats to buoy the net body and codend. General Information: Pacific ocean perch is one of approximately 70 or so kinds of rockfish (Sebastes spp.) found from the Bering Sea to Baja California. Pacific ocean perch are an important component of Alaska groundfish fisheries, with catches taken primarily from shelf breaks and gullies in the northern Gulf of Alaska and Aleutian Islands region. Pacific ocean perch is harvested mostly by catcher processors, and to a lesser extent, smaller catcher vessels. Catcher processors harvest multiple species, conduct primary processing aboard the vessel, and freeze their products on board. Additional information on Pacific ocean perch can be found at NMFS Fishwatch.